Today we met our new District Governor, Sarah Oliver. Sarah talked about club membership - why people become members, why they stay, and how to share our enthusiasm for Rotary with others. She emphasized that we are our club's best ambassadors - any encounter may become a recruitment opportunity, so all members should be prepared to tell in a few words why they care about Rotary. 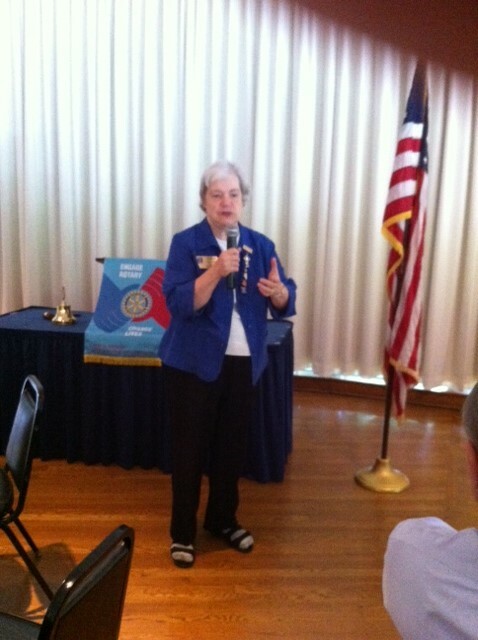 Sarah also talked about Rotary International's continuing dedication to eradicating polio. This effort provides a way for all clubs to be involved in an important international effort through fundraising. We look forward to working with Sarah and our Assistant District Governor Larry Kanar over the coming year.